Pest Control, Lawn Care, Landscaping & Outdoor Kitchens in Homosassa FL For more than 45 years my family's commitment to excellence has made Bush Home Services a leader in the pest control and landscape industry. 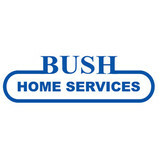 At Bush Home Services, we offer you the best price and service to ensure that we achieve our goal of 100% customer satisfaction. Our friendly and knowledgeable pest technicians can solve your toughest problems and our landscape designers can build the landscape of your dreams. 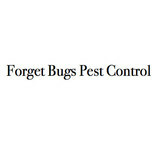 Forget Bugs Pest Control, locally owned and operated, has been serving the greater Ocala area for over 10 years. We specialize in residential, commercial and industrial pest control services. Dedicated to providing quality service, we pride ourselves on our customer service. We focus on the extermination of bugs, insects, termites, bedbugs & rodents as well as lawn and shrub care. Call us today for a free estimate! 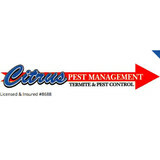 Citrus Pest Management offers a ONCE A YEAR HOUSEHOLD PEST CONTROL PEST TREATMENT, INCLUDING: -Inspection of the entire home -Removal of all switch plates to access wall voids and place a barrier to prevent invasion -Baits in all cracks and crevices of the kitchen and all baths -Attic dusting (where applicable) "At Citrus Pest Management, we charge a fair price for quality service, with guaranteed results-period!" MD Termite & Pest Control started more than 40 years ago and is still family-owned and operated today. Many of our pest control & termite customers have referred us to their friends and neighbors. We take referrals very seriously and appreciate the word of mouth advertising our happy customers do for us. Our professional technicians are trained to uphold our high standards on every job we do, our experience enables us to handle residential and commercial work of any size and scope. Look for our excellent reviews on Angie's List, Facebook, Home advisor and the Better Business Bureau websites. We are also proud to be part of the Wounded Warrior Project. Why call us? Well we start off with the best customer service you can get anywhere. We come to you when you need us, most service calls within 24 hours! Service with a smile! Our skilled technicians are trained to deal with any pest issues you might have. The part is you get all us this for a very competitive price. We can beat almost any price. We service from Ocala to Apollo Beach. Our sister company is a seamless gutter company. We offer services from pest, termite, and lawn care to seamless gutters. Your satisfaction is guaranteed! Dead and Gone D n G Pest Control strives to keep our customers in mind with pricing, safe chemicals and doing a thorough job. We spend as much time as needed to get the job done right the first time. However, with our guarantee we will come back, if needed, for no additional charges. We always strive for a happy and satisfied customer. D n G is licensed to handle all of your pest control needs including termites and bed bugs. The only thing we do not do is fumigation (tenting of buildings/houses). D&G HISTORY: *We are locally owned and operated which fosters accountability. *Immediately responsive and attentive to our client’s needs. *DnG Pest Control was established 4 years ago; however the principal/owner has extensive experience in the pest control business as outlined below. OWNERS QUALIFICATIONS: *Owner Greg Grier and Certified Operator has 40 years’ experience, all in Florida. (As an aside, Greg opened only the 3rd pest control company to do business in Cape Coral in 1977 called Shur Shot Pest Control.) Dead and Gone D&G ACCOMPLISHMENTS: *We are “A” rated on Angie’s list. *Extensive clientele list in the Southwest Florida area. Once again Dead and Gone - D&G Pest Control thanks you for this opportunity to be of service to you. We look forward to starting up service for you in the near future. Since 1962, General Spray Service has been providing the residents of the Ocala-Marion, Florida area with high quality residential and commercial lawn care and pest control services. Our technicians are highly experienced industry experts, dedicated to offering affordable services and are trained in the effective and safe removal of a wide range of pests. Some of the common pests we exterminate include: Ants, Chinch Bugs, Mole Crickets, and More! We are a family pest control company right here in Ocala, FL. Plain and simple, we believe in doing honest work at honest pricing. We know you need your pests exterminated fast and with minimal hassle. We'll even give you a quote over the phone! At EcoFloridian® Lawn and Pest Control, we know how important family is to you. That’s why we deliver unprecedented lawn and pest control with your family in mind. Stop worrying about pests in your home that disrupt and gain back your time for the things that truly matter. Let us solve all your pest problems. Tropicare Pest Control has been providing quality pest control services in Spring Hill Fl, for over 35 years. Our company provides lawn care services, lawn pest control, lawn fertilization and weed control. We also provide indoor pest control and termite treatments. Tropicare Pest Control Spring Hill Fl offers both residential and commercial services. "WDO" inspections for home sales or bank re-financing. We are also a full service sod and landscape renovation company, from plugs, sod, and shrubs we have you covered. Just call our friendly Spring Hill office staff for pricing. Together we can make your lawn the envy of the neighborhood and your home pest free. Tropicare is here to help you with all your pest control needs. Call us today and get the help you need to get rid of those unwanted pests in your home and lawn. Integrity Turf Solutions is a full service Lawn Fertilization and Pest Control Company that offers a wide range of customized treatment options for your lawn. We offer services that are tailored to your unique lawn needs. From fertilization to irrigation and disease control, we have the tools to give your lawn the beautiful, green and healthy look you desire. At Integrity Turf Solutions we believe in personalizing our service to match the unique needs of your landscape. We believe in working towards results that reflect integrity and quality. See for yourself and Get Your Free Quote Today! Unwanted guests are never fun, especially when you can’t ask them to leave. Luckily, Citrus Hills pest control companies have no problem kicking them out. Whether there’s a rodent in your basement or insects in the attic, call your local Citrus Hills exterminator to take care of them — do not try to wrangle them out yourself! Not sure which type of home pest control service in Citrus Hills, FL can tackle your issue? Read profiles and ask about their past experiences to get a good idea.